The Acer Aspire R3-471T-54T1 is a 2-in-1 laptop PC comes packed with the processing power of 4th generation Intel Core i5-4210U ultra low voltage processor that features 3 MB level 3 cache and runs at the base clock speed of 1.7 GHz with Turbo Boost technology that can speed up its processing up to 2.7 GHz. 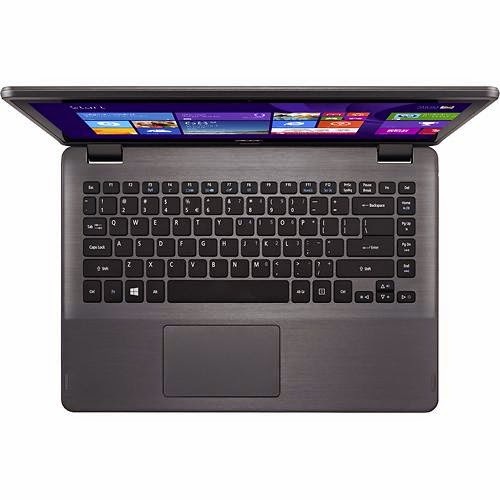 It also features Hyper Threading technology that increases the efficiency of the processor for up to 20% or more. This ULV processor has an integrated graphics controller called Intel HD Graphics 4400 that supports Microsoft DirectX 11.1, OpenGL 4.2 and OpenCL v1.2 technology. 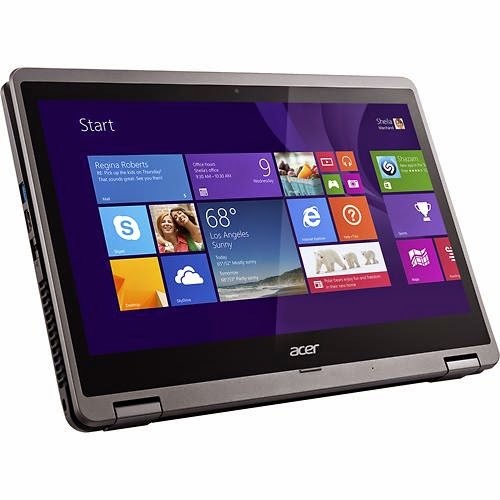 The display of this Acer Aspire R3-471T-54T1 is a 14 - inch LED - backlit high - definition widescreen 10 - finger multitouch screen that features Zero Air Gap technology, Acer Touch Tools and 1366 x 768 screen resolution. Compared to high end laptops the display of this laptop is inferior which can be blamed for low resolution. 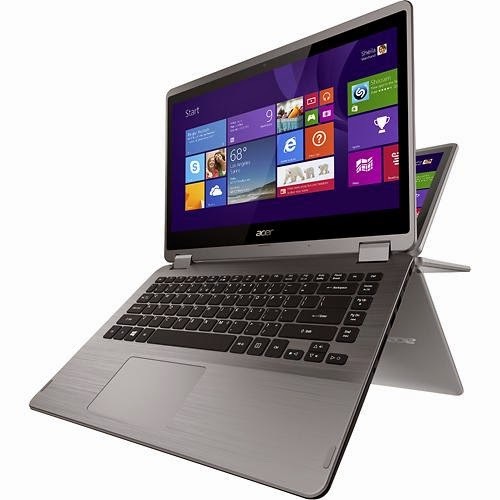 Other specs of this Acer Aspire R3-471T-54T1 includes 6 GB DDR3L SDRAM memory which can be expanded up to 12 GB; 1 TB (1024 GB) Serial ATA hard drive (5400 rpm); high definition webcam with digital microphone; media control keys; digital media reader that supports SD format cards; and 4 - cell lithium - ion battery with 3560 mAh capacity. 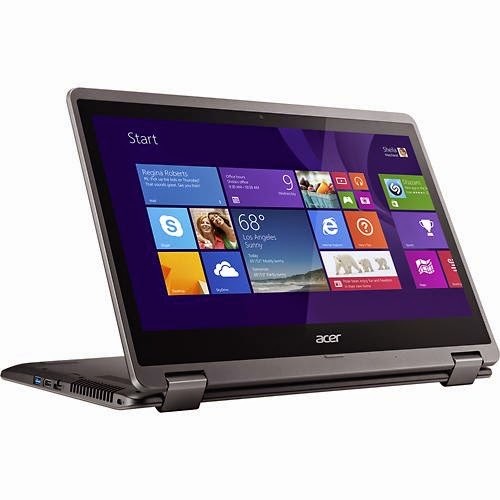 In terms of connectivity options, this Acer Aspire R3-471T-54T1 laptop PC is equipped with 2 USB 3.0 ports and 1 USB 2.0 port, Bluetooth 4.0 interface, high - speed wireless LAN (802.11 b / g / n), 10 / 100 / 1000 Gigabit Ethernet LAN, and HDMI output port. This 2-in-1 laptop features 360° dual-torque hinge that allows the touch screen to rotate for versatile use in notebook, display, tent or pad mode. 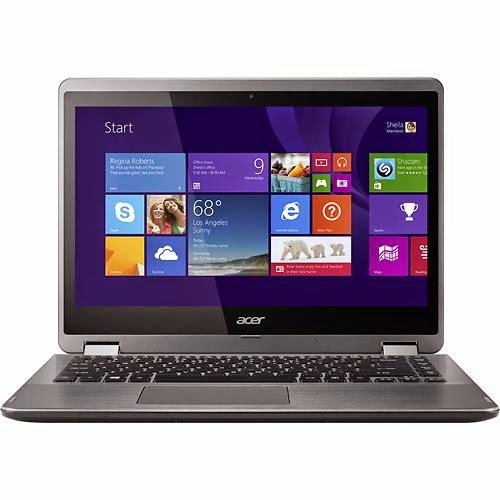 The Acer Aspire R3-471T-54T1 2-in-1 laptop PC runs with Microsoft Windows 8.1 64-bit operating system. It measures about 0.9 inches x 13.5 inches x 9.7 inches and weighs about 4.9 pounds. You can have this laptop for just $ 649.99.